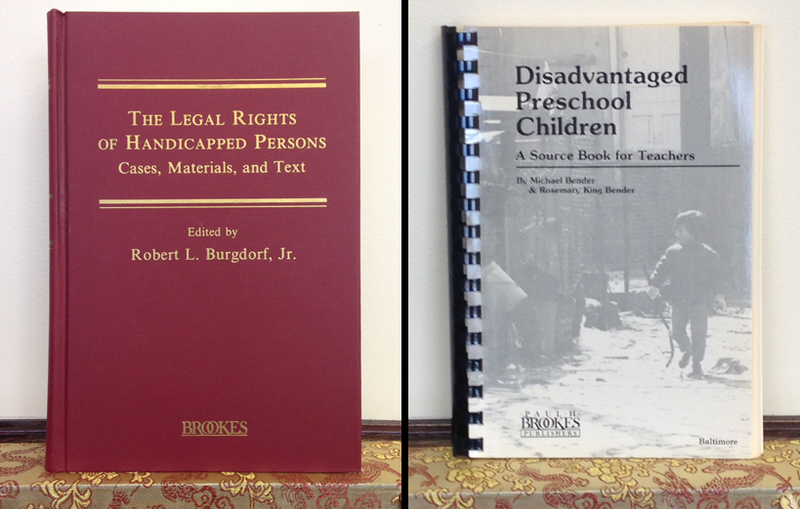 Loyal Inclusion Lab readers know that this blog is brought to you by Brookes Publishing, a Baltimore-based publisher of resources on education, disability, and early childhood. Our company’s been blazing trails in inclusive education since 1978, just a few short years after the passage of IDEA (then called Public Law 94-142, or the Education of All Handicapped Children Act). I don’t give you a peek behind the curtain too often, because we like to let our resources take center stage. But since IDEA’s mission and ours have been so closely intertwined, I thought I’d start off today’s post with some reflections from our founder and our president. Days before the 40th anniversary, I sat down with Paul Brookes, founder of Brookes Publishing, and his son Jeff Brookes, our company president since 2011. From Jeff’s office in our Baltimore headquarters, we chatted about the role of IDEA in the founding of Brookes, and how the law has influenced our company’s ongoing mission. Thanks to Paul and Jeff for sharing their thoughts on the anniversary. To continue our tribute to IDEA, here’s a roundup of some of the best related resources we saw online this month. Check them out, and be sure to follow the #IDEA40 hashtag on Twitter for more articles, reflections, photos, and testimonials. In honor of the IDEA anniversary, the U.S. Department of Education just released new guidelines for ensuring that children with disabilities are held to high expectations and have meaningful access to their state’s academic content standards. The Department also compiled resources for parents and educators to help students with disabilities succeed in school and life. Check out their new website featuring best practices in the field, evidence-based tips for teachers on maximizing instructional time and decreasing disruptions, the two-part blueprint on teaching behavioral expectations (from the National Technical Assistance Center on Positive Behavioral Interventions and Supports) and these tip sheets on transition to adulthood. 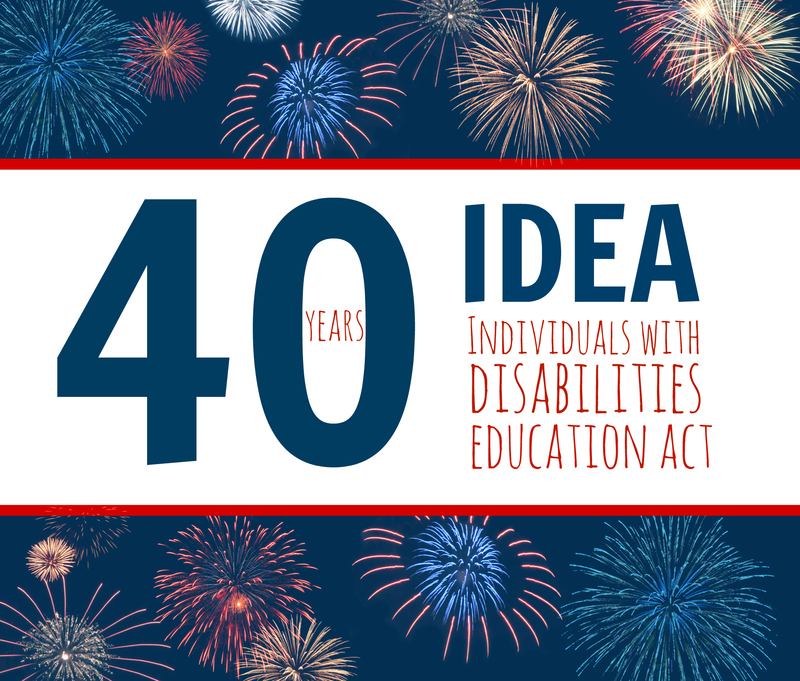 On November 17th, the White House hosted a special celebration of the 40th anniversary of IDEA. Representatives from government and the education community came together with advocates to both celebrate and reaffirm support for IDEA. If you missed the White House’s livestream of the event, you can still watch the panel discussion right here. Take a trip through history with this inspiring and informative 10-minute video on the many positive changes sparked by IDEA. Brought to you by the Office of Special Education Programs (OSEP) and narrated by famed poet LeDerick Horne (author of an upcoming Brookes book on hidden disabilities! ), the video celebrates successes while recognizing the important work that still must be done as we look to the future. Where we were, where we are, and where we need to go–neatly summarized in one IDEA fact sheet from the Consortium for Citizens with Disabilities. And finally, the Council for Exceptional Children is collecting reflections about the IDEA anniversary, and they want to hear from YOU. What has IDEA meant to you? What major successes have you had as an educator, and what’s your wish for the future? Add your thoughts to this blog post; CEC will be sharing IDEA reflections and stories through the end of December 2015. What does the IDEA anniversary mean to you? What’s one thing you hope will be different 40 years from now? Add your thoughts in the comments below!